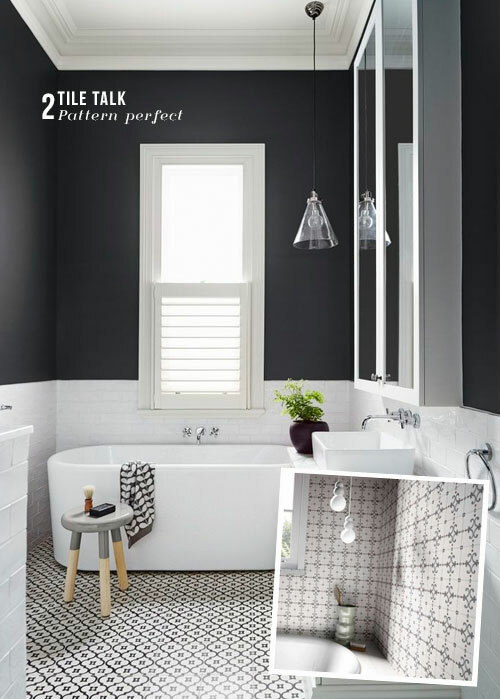 My friends over at Tileflair recently asked me to help share some tiling inspiration, which for me was a real joy as I'm a big advocate for tiles in interior design. After all, we are looking at a durable and versatile material which provides us with both a highly practical and decorative function, and one which has had a proven track record as a striking design feature since Roman times! I find that my designer's eyes are often scouring the ground beneath me whilst I am exploring buildings, particularly older ones, because I am always captivated by the striking variations in pattern, colour and texture when it comes to tiled flooring. 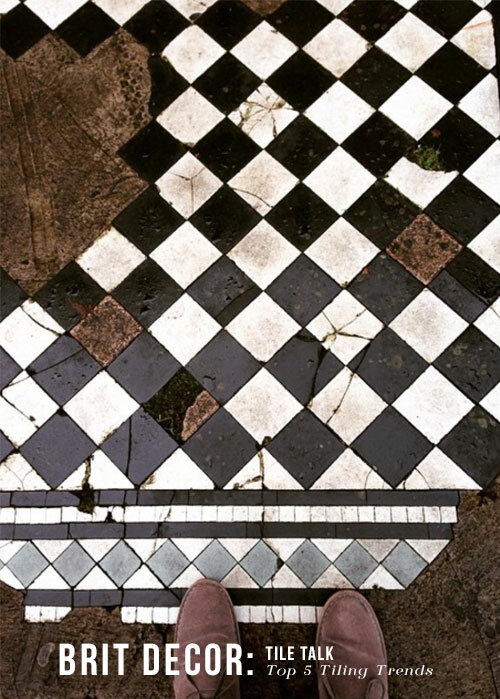 Just look at the monochrome magic created by these worn Georgian tiles in image no.1 'above', which I snapped in Bath recently, but how can we get it right in our own homes? 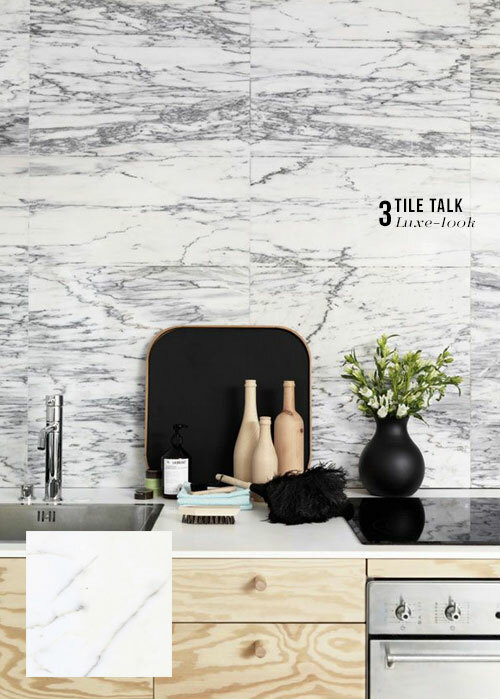 For today's feature I decided to hone in on my top five tiling 'looks' for the home and then demonstrate how to 'get the look' with the help of the Tileflair team's own product range. Metropolis brick tile in grey (top) and white (bottom) £1.06 per tile. 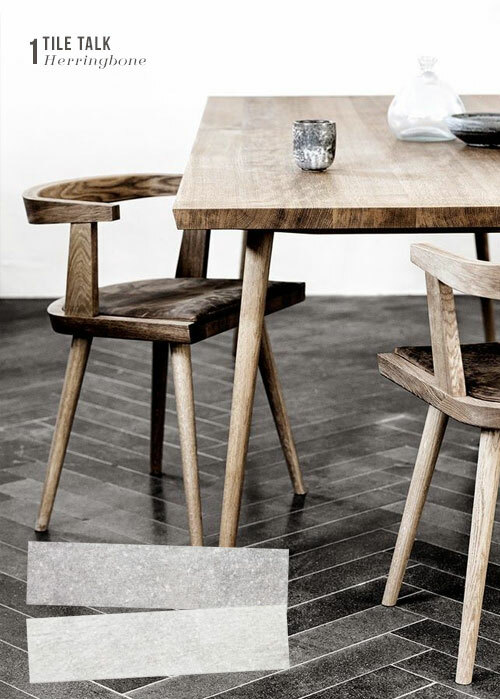 Herringbone is the happening pattern formation right now, it looks great and adds instant detailing. Try going tonal to create a subtle ripple of pattern, or use contrasting colours for a more graphic look. Dwell wall tile £5.16 per tile. There's an air of modern rustic about these tiles, and the contemporary element is accentuated by the gorgeous grey detailing. Alternatively, give this look a more exotic feel by choosing bright aqua colouring. Marbles Estatuario Neo (marble effect) floor tile £9.77 per tile. Marble is another timeless material which has long been associated with luxury. For the ultimate in luxe-looks, team this material with trending metallics such as brass or gold. Michelino embossed tiles £1.24 per tile. Here the game is raised - literally, with these embossed tiles. These look great and add very subtle detailing, particularly when cast in light and shadow. 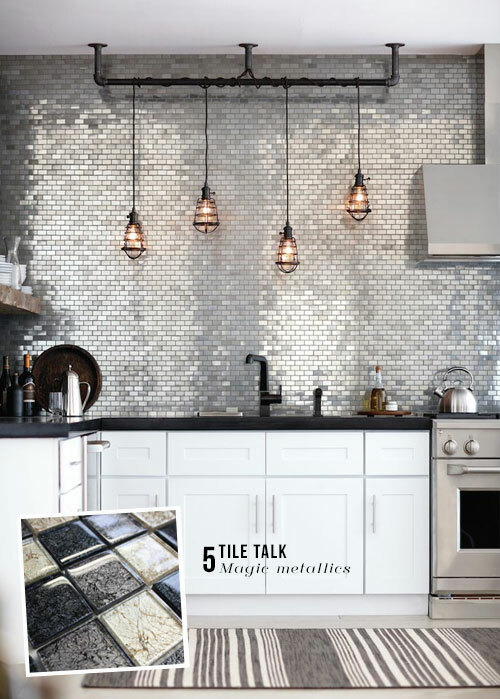 Foil Moonlight Mosaic wall tiles £24.48 per tile. As mentioned in my Luxe look 'above', metallics are huge right now and here's why; they add stunning reflective light to a room and can bring shimmering colour - mix one or more metallics to go all-out and make a true style statement. 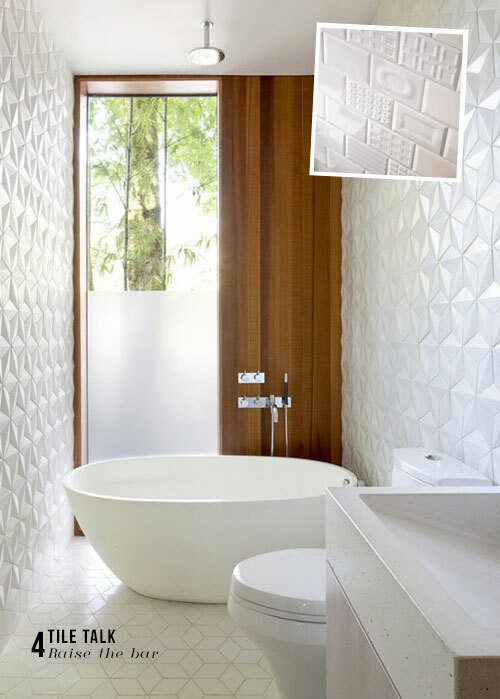 You can find more tiling inspiration over at the Tileflair website by clicking here.